it’s friday, so you know what that means? happy cocktail time! today’s martini is inspired by two things. first, after reading wednesday’s recipe for polenta rounds topped with pesto chicken, scott of the foodie spot asked me what type of martini i would pair with ’em. i thought that something citrusy/lychee-ish would be nice, since the sharpness of those flavors would complement the richness of the pesto. then i remembered that one of my nashville friends, jenni, had mentioned a drink recently from the restaurant sambuca that she thought i would like – the sambuca sling-back, which is made of vodka, st-germain (elderflower liqueur) + champagne. jenni had created a version at home, using vodka, st-germain, + club soda, + i’ve slightly adapted her recipe below. so scott, this is my answer: i think this martini would go great with the pesto chicken-topped polenta rounds. cheers to everyone! 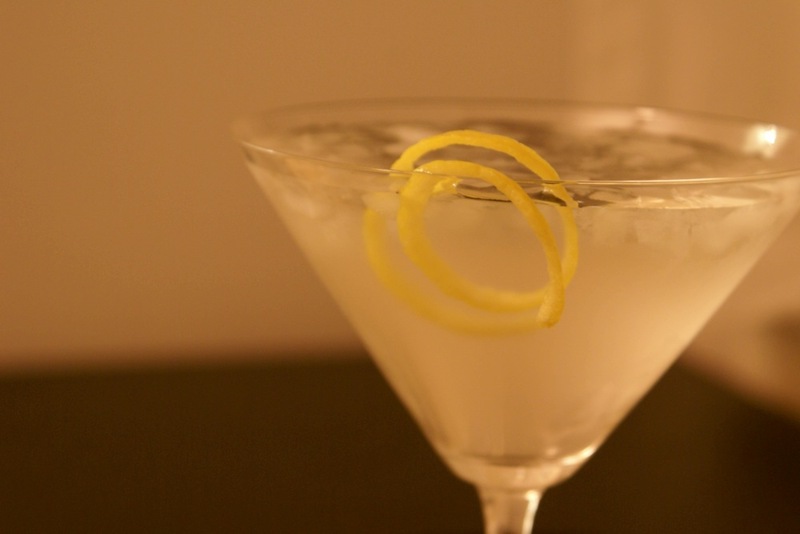 combine vodka, st-germain, + ice in a martini shaker. shake well, + strain into a chilled martini glass. add club soda + gently stir. 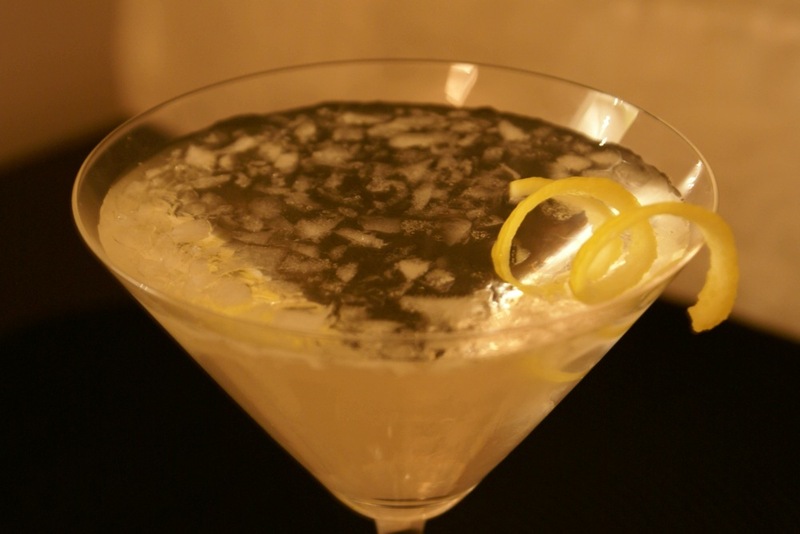 top with crushed ice, + garnish with a lemon twist. cheers! Bravo Amy. I knew you were up to the task. Your garnishing talent is shines well in those pictures. Just splendid. I will be stopping at the liquor store on my way home to get some St. Germain. Michelle is a very willing tester. We have a Sambuca in downtown Houston. Love that place. Enjoy your weekend. thanks, scott! i do have to say, i’m pretty handy with a channel knife for garnish – if you don’t have that tool, you should definitely invest in one! let me know what you + michelle think of the cocktail. + remember, a little st-germain goes a long way (it has sort of a grapefruit/lychee flavor), so start with just that 1/2 oz., then increase the amount to taste. cheers! Oh yum! I might actually go buy some st germain to make these tonight. Clink! i think you’re going to love ’em. let me know what you think! cheers!